Theatre Eddys: "Paradise Square: A New Musical"
In what is now regarded as the first inner-city slum in America -- one teeming by the early 1860s with muddy filth, mosquito-bearing disease, rampant street crime, and blatant prostitution – marital, family, and friendship blending of unlikely races and cultures established the seeds for tap, vaudeville, jazz, and even modern rock. 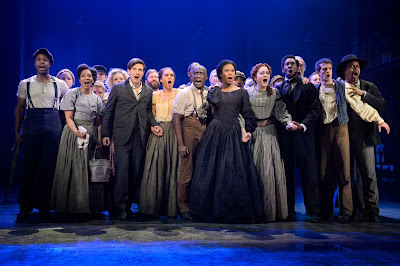 The hidden but important history of this mid-nineteenth century, New York City neighborhood known as Five Points is the focus of the largest undertaking for Berkeley Repertory Theatre in its fifty year history, with thirty-two actors and eight band members presenting the astounding, breath-taking world premiere musical, Paradise Square: A New Musical. 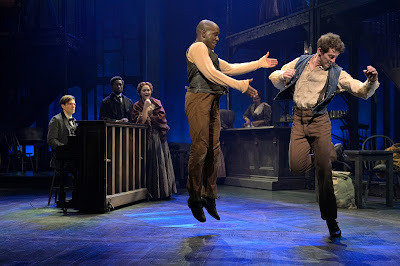 With music based on one of America’s most-loved and yet most-controversial song writers, Stephen Foster -- whose music has been widely sung by both elementary school kids and by black-faced minstrel performers – Paradise Square: A New Musical touts a stellar team of creators whose combined credentials are mammoth: Marcus Gardley, Craig Lucas & Larry Kirwan (Book); Jason Howland & Larry Kirwan (Music); and Nathan Tysen (Lyrics). 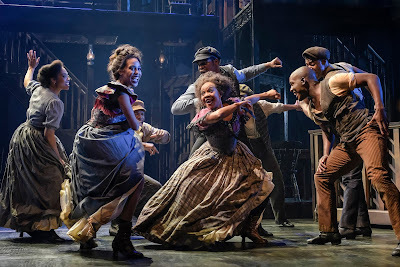 The result is an exciting, exuberant cross-pollination of Irish and African-American traditions where high-stepping jigs and body-swerving shuffles mix and mingle as they tell a Civil War era story whose truths, tragedies, and ultimate triumphs have been too long ignored. Surrounded by three-story, metal outlines of cubby-holed tenements with their stairs, fire escapes, and windowed perches, a neighborhood bar called Paradise swings into our sight, one owned by the Irish immigrant Willie O’Brien (Brendan Wall) and his African American wife, Nelly Freeman (Christina Sajous). Amidst an array of white and black patrons are several mixed-race couples like the former slave and now free Reverend Samuel Cornish (Daren A. Herbert) and his Irish wife and sister of Willie, Annie O’Brien (Madeline Trumble). Revival-fervor voices rise in “Some People Do” as Irish high stepping dances erupt. From those who live there, we hear about Five Points, “where folks are free to be who they are and love who they want.” But Willie and his Irish pals are now off to the war, leaving Nellie in charge of the couple’s prized property with the help of sister-in-law, Annie. 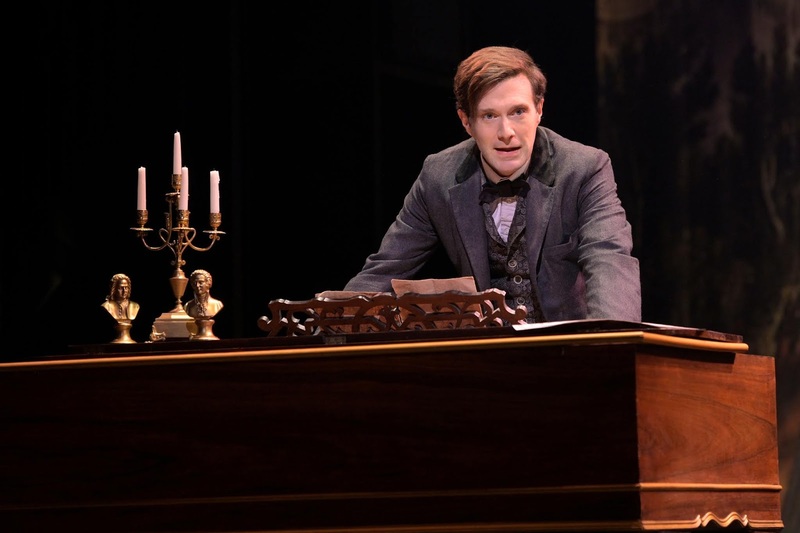 The scene quickly transitions to Woods Music Emporium where the country’s most prolific, most popular, and yet now often-drunken and broke song writer, Stephen Foster, is trying to sell one of his latest songs. While the proprietor is hoping for another of his “plantation” songs (i.e., those happy tunes written with a black dialect that white folks love to sing), Stephen sits at the piano to try on something a bit different. Jacob Fishel as Stephan sings in a searching, haunting voice “Was My Brother in the Battle?” a number Elmer Woods (Mark Uhre) agrees may be Stephen’s best yet but one he is only willing to buy for twenty cents. Its sad, soulful refrain is not what his hoop-skirt-wearing, squeaky voiced students want to sing. Stephen has left his wife and daughter to come to Five Points where “the new song I had hoped for is happening right here.” He sees a ‘Piano Player Wanted’ sign at the Paradise Saloon and asks a skeptical Nellie for a job. When she says maybe as long as he does not ever play her most hated songwriter, Stephen Foster, Steven quickly changes his name to Milton Moore and accepts the position for room, board, and all the free drinks he wants. Into the world of the Paradise Saloon also simultaneously arrive two very different young men: a penniless nephew of Annie’s, Owen Duigan, just off the ship from Ireland where he is escaping the potato famine and a runaway slave from Tennessee, quickly renamed from his give-away plantation name to William Henry Lane. William is seeking refuge as part of the underground railroad that now runs right through the saloon (thanks to the pleas for his protection by Reverend Sam). 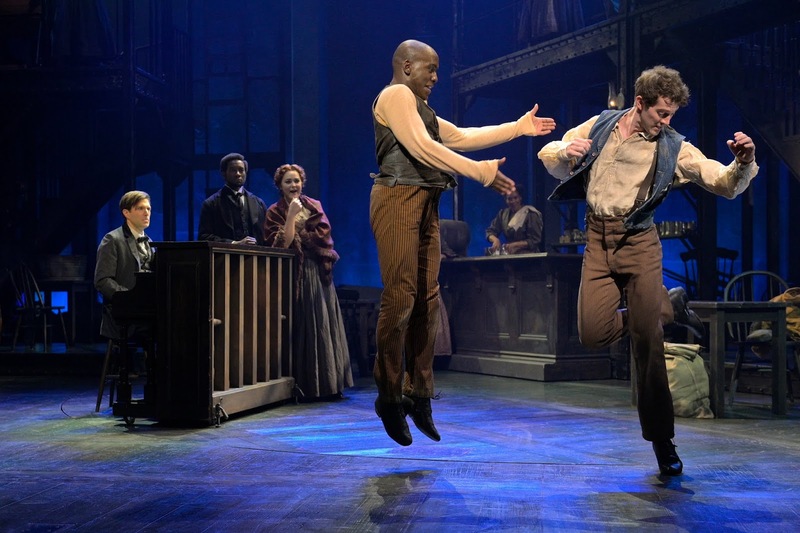 The two prove their worth to Nellie as saloon entertainers in an electrifying dancing duel-of-sorts that sends Owen (A.J. Shively) into a rapid toe-tapping, high-stepping, sky-jumping Irish jig only to be matched by a body jiving, smooth flowing, rubber-torso-bending shuffle by William (Sidney Dupont). Dancing and singing to a version of “Camptown Races” unlike any version this audience has ever heard, the two thrill Nellie and Annie (and all of us) while also solidifying a fierce friendship between them. Much of the thrilling uniqueness of Paradise Square is the role that dance plays in conveying the historical storyline itself. As choreographer, Bill T. Jones time and again designs massive eruptions of dances that seem impossible in terms of their speed, dexterity, and complexity while at the same time are always emotionally beautiful and deeply impactful. Taking a tune every American school kid of the mid-twentieth century sang time and again and turning it inside out to produce a Foster-based number fresh and furious, Messieurs Howland, Kirwin, and Tysen give us an “Oh, Susannah” that serves as the background of another great dance-off of the two cultures -- this time a stage full of Irish high-flying hammer stepping and of African-American body grinding, heavy footwork, and eye-popping hand-slapping. What begins as group versus group evolves to a mixture of both styles that is a blended prediction of the future of American dance and music. This new difference between the once-blended, mixed-race community is further complicated by a dock strike where Irish workers lose their jobs and Blacks cross the lines for jobs sorely needed (and ones they were never offered in the past). 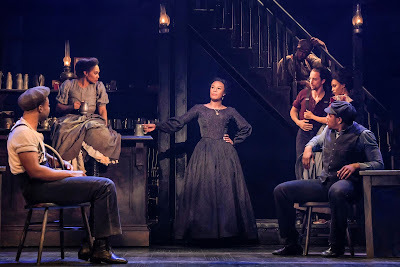 The rift between the Irish and African Americans of Five Points will prove to be deadly and permanent, leading to this country’s worst riot to-date, the New York Draft Riot of 1863. It also ushers Nelly’s aforementioned and ever-crescendoing “Let It Burn” as the riot comes to her Paradise. “This fire makes me stronger ... These walls do not define me,” she declares as Christina Sajous solidifies her portrayal of Nelly as the most memorable performance among many fabulous ones of the evening. The massive and tall stage of the Roda Theatre is transformed into the Five Points neighborhood by the scenic genius of Allen Moyer, with tenant walls moving seamlessly in and out and the Paradise Saloon magically appearing on a turntable that also serves as a device to enable Director Moisés Kaufman to move the large cast through complicated scenes on streets and in the neighborhood buildings. Backdrop projections of the historical pictures of the neighborhood further set the scene and are the palette for some of the incredible lighting effects of Donald Holder, whose striking color schemes greatly enhance the corresponding action on the stage. Jon Weston’s sound design, Toni-Leslie James’ period costumes, and Mathew B. Armentrout’s wig/hair designs round out a creative team that is surely second-to-none for a local world premiere of this magnitude. Finally, the music direction and orchestrations of Jason Howland provide an array of Steven Foster’s songs as never heard before, all played with vigor and hints of that Civil War period by an excellent band ensemble. 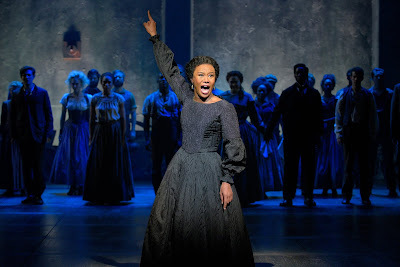 Paradise Square: A New Musical continues through in extension through March 3, 2019 on the Roda Stage of Berkeley Repertory Theatre, 2015 Addison Street, Berkeley, CA. 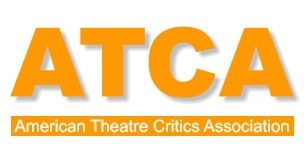 Tickets are available at http://www.berkeleyrep.org/ or by calling 510-647-2975 Tuesday – Sunday, noon – 7 p.m.